Bollywood, Hollywood and film personalities around the globe have always fascinated me as they are very creative people. 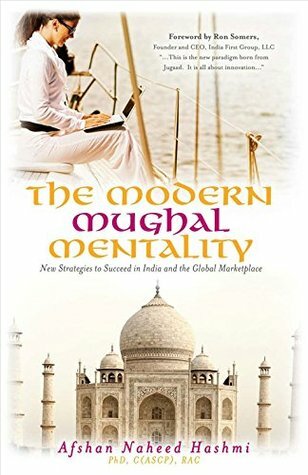 ( http://afshanhashmi.com/the_modern_mughal_mentality1/ ) is about Jugaad, a Hindi buzzword in today's western world about Creativity and Innovation My book is already a best-seller on Amazon in a category as well as Hot #1 New release in a category..
On November 6 2015, I had the opportunity to attend special screening of Swiss- nominated movie "Iraqi Odyssey" as the country’s official foreign-language entry for Academy Awards. the screening was held at AFI Silver Theatre. The movie will be released in New York and Los Angeles on Nov. 27 before expanding nationwide in 2016. Autlook Filmsales is handling worldwide sales. This film is a co-production between Switzerland, Germany and UAE. In September 2014. Iraqi Odyssey received its world premiere at the Toronto International Film Festival. The movie won the best Asian film award and the NETPAC award at the Abu Dhabi Film Festival, and the Panorama audience award at the Berlin Film Festival. Typecast Films will release the English-language version of the film in theaters, while the version that has qualified as the Swiss Oscar entry is in German. Typecast Films has acquired U.S. rights to the documentary. Besides describing his family's saga of how they have left Iraq in Iraqi Odyssey; Samir also reports how Iraqi dreams of constructing a modern nation has been shattered. It has been estimated that four to five million Iraqis live outside Iraq today. Samir's family members are living around the globe -Abu Dhabi, Auckland, Sydney, Los Angeles, Buffalo, London, Paris, Zurich, and Moscow. Only very few of his family members live in Iraq . Bringing together the poignant, thoughtful and sharp statements of Samir's relatives including rare documents from private and state archives, Ottoman film footage and 3D technology the film is wonderfully made. I give this movie 5 Stars! I had the opportunity to meet that day award-winning filmmaker Samir who was born in Baghdad and has lived in Switzerland since he was a child. My dad was hired to help in establishing Biochemistry department in Medical College of Basrah, Iraq. While seeing the movie I was remembering the time I had spend with my dad in Basrah in 1978 when I was a kid.. There were moments when I was weeping also. The film had a big impact on me. When my dad was in Iraq I visited him from India for three months only. But those three months came alive while seeing this movie. Thanks a lot Samir for making this wonderful movie. Also I want to give special 'Thank You', to Embassy of Switzerland in Washington, D.C., for hosting a wonderful reception after the movie. I relived my Basrah days that evening. I talked to Samir about it. I even remembered although I am from India but people in Iraq used to think because of my looks that I am from Iraq. Those times in Basrah Raj Kapoor the famous Bollywood star was very popular (https://en.wikipedia.org/wiki/Raj_Kapoor). Cheers from your loving Author!